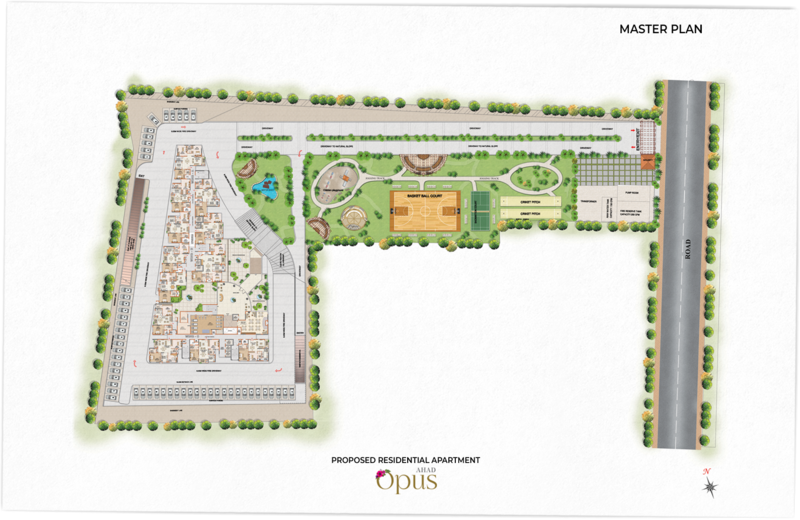 Ahad Opus is an exclusive residential offering of luxurious 2 and 3 BHK apartments. It is a magnificent, high-rise G+ 17 residential apartment of 232 units spread over 2.5 acres, just 100 M from Main Sarjapur road. It is sandwiched between nearing completion Wipro Campus & RGA Tech park. This meticulously planned project offers you maximum open space with panoramic views and a plethora of lifestyle amenities. If you are looking for a luxurious residential apartment by a renowned real estate developer, Ahad Opus is a perfect choice. 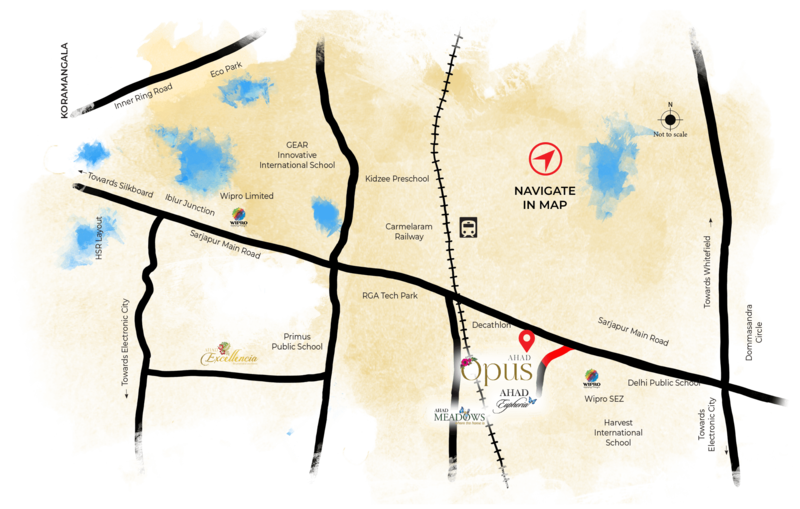 Book a home in Ahad Opus and experience the benefits of living in Bangalore’s most desirable location. Ahad Opus is sandwiched between nearing completion Wipro Campus and RGA Tech Park. Many leading schools such as GEAR Innovative International School, Kidzee Preschool, Harvest International School, Delhi Public School, Primus Public School, AmrithaVishwaVidhyapeetam,etc., are located near Ahad Opus. It has a good connectivity to the key IT cluster areas like Whitefield, Electronic City, Outer Ring Road, Marathahalli and Koramangala.